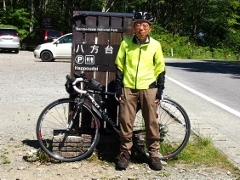 In my neighborhood, on the way of my daily cycling course, I found a marvelous rice field art today in Miharu Town. 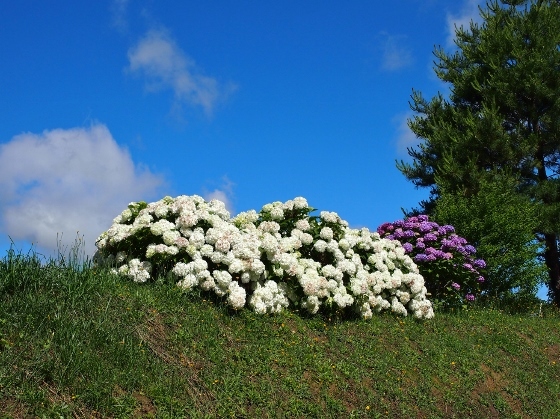 First, just before the site, I found beautiful white and purple hydrangeas on the roadside with the background of clear sky as shown above. 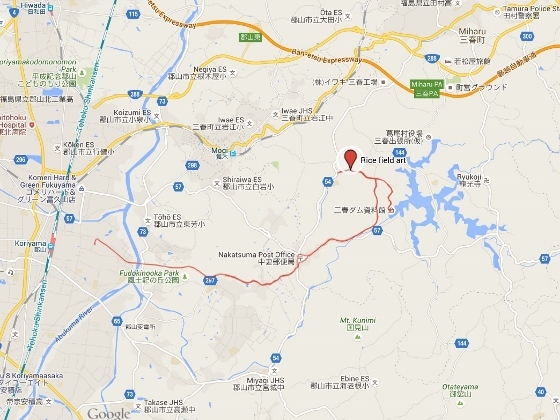 And then, above is the rice field art developed in the countryside of Miharu Town. 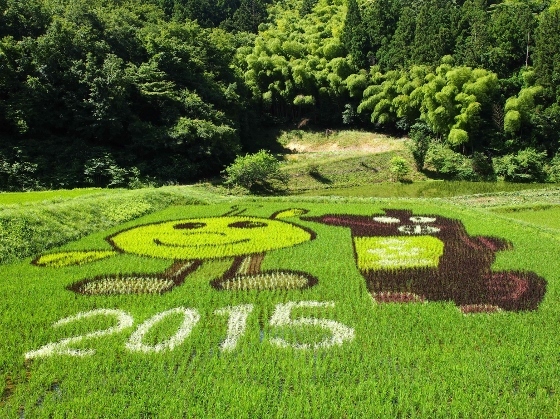 The art depicts Kibitan (left) which is the popular mascot character of Fukushima Pref. and Miharugoma (right) which is the traditional local handicraft of Miharu district. A black Miharugoma is considered as a talisman for raising healthy children, and white one for healthy life of elderly people.